The best thing about Nvidia's TegraZone, where Android and Windows RT device owners can purchase and play the latest Tegra-fueled games, is that it's not very crowded. The Tegra 3 chip is lovely and does a wonderful job of powering amped mobile titles, but developers haven't exactly flocked to the platform. Perhaps that's changing with the upcoming Tegra 4. Today Nvidia unveiled five new-ish games slated to take advantage of its powerful new system-on-a-chip. I say new-ish, because some of these games you might have played before in non-Tegra 4 optimized form. Games like RU Golf from Nutgee, which has been sitting about the TegraZone for the past several months, tempting players with shiny graphics and then jumping them with online-only gameplay. Or Burn Zombie Burn, a downloadable PlayStation 3 and PC title making its mobile debut on Tegra 4. Rounding out the fresh five are a trio of newer titles. N3V Games' Dead on Arrival 2 looks great if you're a fan of backgrounds without much to them. The action-packed Codex: The Warrior from Devclan uses the Tegra 4 to produce real-time dynamic shadows and HDR lighting. Finally there's Carie: Blood Mansion from NeoWiz, a creepy shooter that'll pack enhanced effects and an exclusive level on Tegra 4. 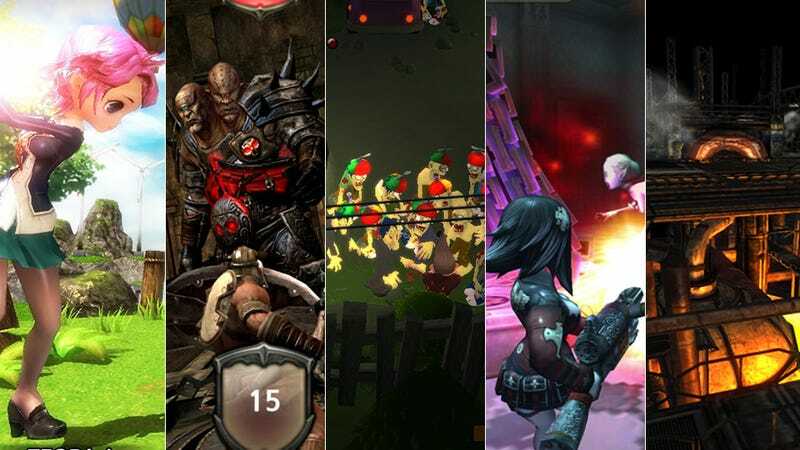 With the Project Shield handheld coming this spring and a flood of Tegra 4-powered smartphones and tablets waiting in the wings, it's nice to get an idea of what near-console-quality games mobile gamers will have at their disposal. Most of them will still just play Angry Birds, but it's good to have options. Read more over at Nvidia's blog.